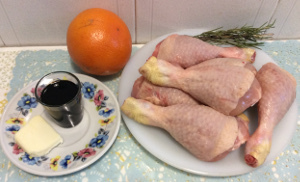 You will begin to love chicken with balsamic vinegar and oranges while you are cooking it. 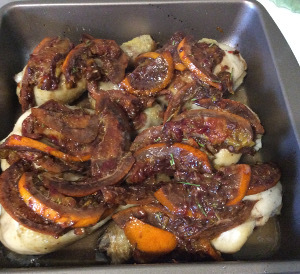 The combination of oranges, rosemary, and balsamic vinegar will fill your kitchen with a heavenly aroma. Then, after you taste it, you will not want to wait to serve it to your guests. Everyone will love it. The ingredients are well balanced and in perfect harmony. 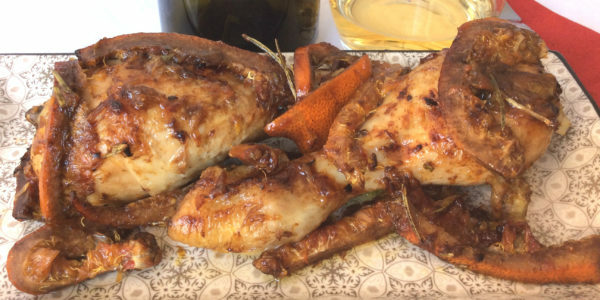 This recipe turns chicken, inexpensive and often bland, into a moist and tender flavour bomb. The recipe is also gluten-free. 1 non-stick pan, 1 knife, 1 chopping board, 1 dish, 1 oven pan. 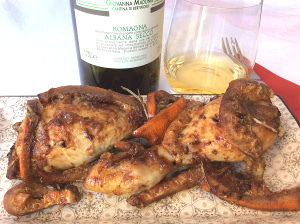 Season the chicken with salt and pepper, pressing them into the meat to let the flavours penetrate. Heat the oil in a large non-stick pan and add the chicken. Let the skin brown, turning the pieces several times for about 7 minutes, then remove from the pan. 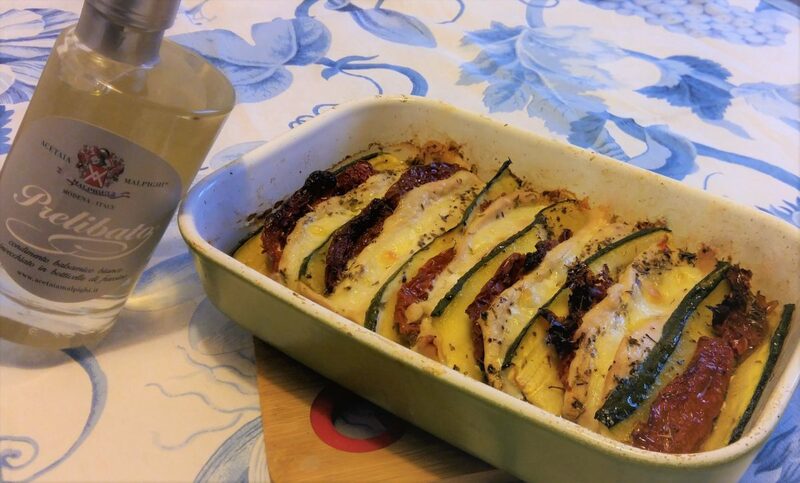 Place the meat in a baking dish and bake at 200° C for 20 minutes. Meanwhile, rinse the oranges and cut them into slices without peeling them. 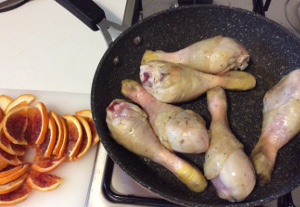 Put the orange slices into the same non-stick pan you used to brown the chicken, pour the balsamic vinegar over them and cook stirring for 2 minutes until the oranges are caramelized and the sauce is thick. 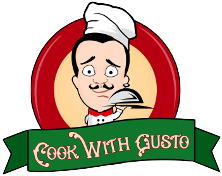 Add butter and rosemary, cook for 1 minute stirring constantly, and remove from heat. Pour the freshly prepared sauce over the chicken (directly into the pan). Pour about half glass water into the non-stick pan you used for cooking scraping off the bits stuck to the pan. 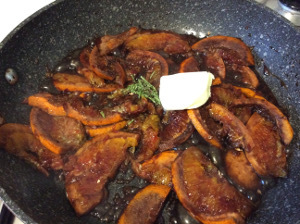 This way you will extract all the flavours of the caramelised oranges and balsamic vinegar. Pour the liquid directly into the pan with chicken. Put the dish back into the oven and cook for another 10 minutes. As an alternative to regular Balsamic vinegar, you can use Saporoso white balsamic condiment. 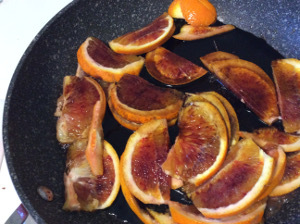 The taste is almost the same, but the oranges will be a lighter brown colour. 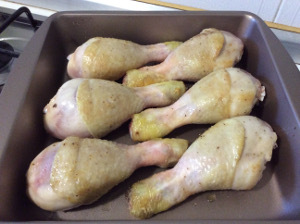 If you are in a hurry and cannot wait for the half-hour for drumsticks to cook, you can use other chicken parts, such as boneless thighs or boneless chicken breast. For the chicken to brown properly however, it should have the skin on.